proud to partner with 5 Star Car Wash in Vacaville for another lifesaving event. Bill Proestler, owner of 5 Star Car Wash and Detail Center, is passionate about giving blood. business to help others survive. have been donated.” Please join us at the September blood drive. 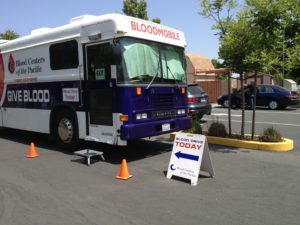 www.bloodcenters.org and click the FastTrack link. 5 star car wash, Blood Centers of the Pacific, blood drive. Bookmark.